Diving deep into the realms of design requires true passion, inspiration and a strong skill base. Yet, there is another factor which plays a leading role in the battle between time efficiency and quality work. The designers’ resource base has become one of the main determinants for their success. Premade designs aid for a swift job completion without depriving the end product of its main qualities. So, what type of free content can designers take advantage of while surfing through the web? Freebies can be generally divided in three categories: design elements, mockups & templates and textures & photography. 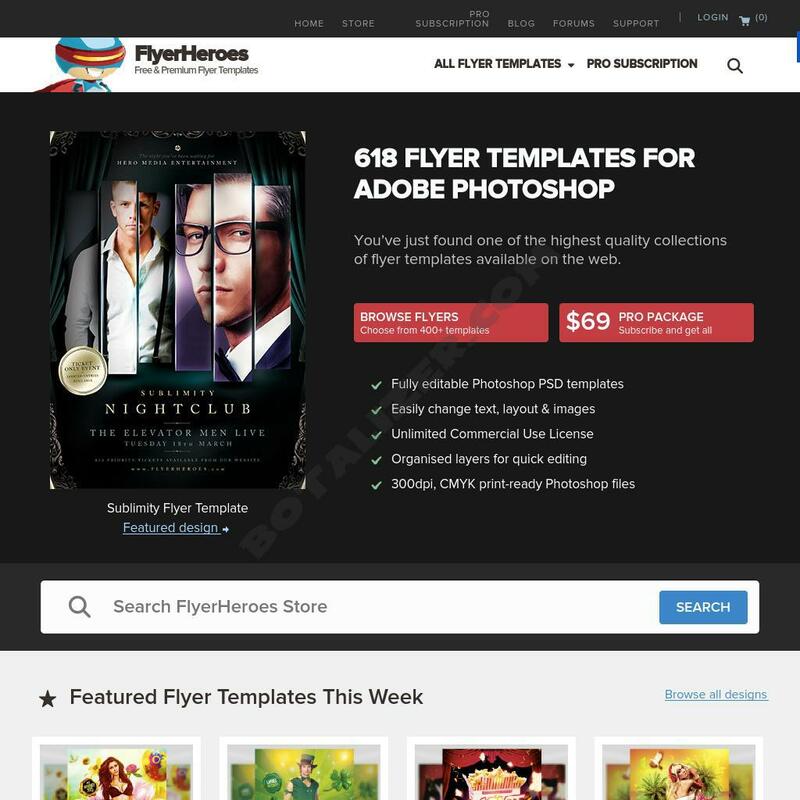 All of them form a wide selection of resource website which provide either free or paid templates for designers to download and use in their work. Each file comes with a copyright registration and gives users different rights of use. Locating the copyright notice is usually a struggle and you may often choose to pay large fees to download checked premium templates and guarantee yourself no legal issues. After all, dealing with content theft can be a real bummer. But, isn’t there an easier way to get free design resources without worrying about copyrights? 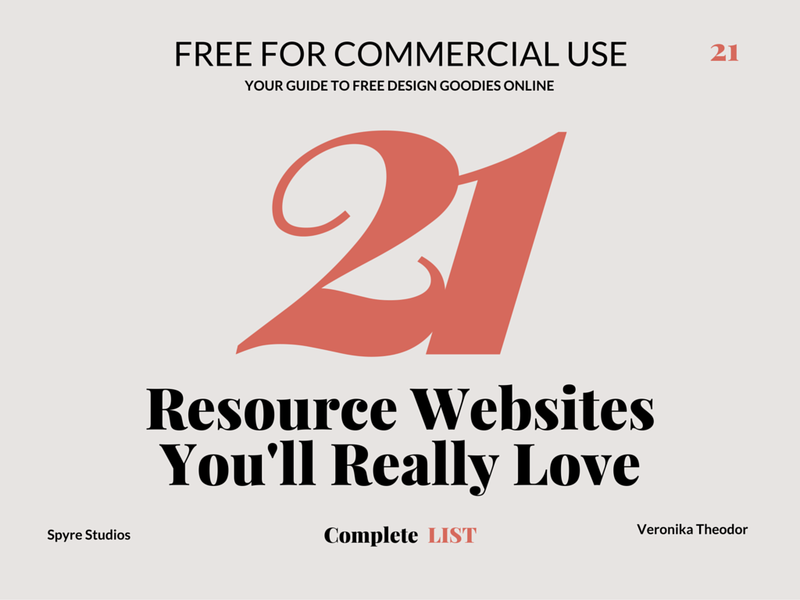 This design freebies resource collection is comprised by the top twenty-one websites offering design elements which are free for commercial use. It is a compressed version of a three-year research and delivers some of the most valuable resource websites. This collection is cut down to the highest quality design resources online. It offers a wide selection of mockups, UI kits, icons, text effects, backgrounds and many more. The GraphicsBurger website is a reliable resource for any designer who wants to enjoy pixel-perfect design content from a free, checked source. The freebie section of FlyerHeroes is conveniently hidden in the website menu, yet, it can be easily found via the web search engines. It provides a large variety of flyer templates. The PSDs present a complex mix of images, flyers and typography, which gently interlace to create the perfect design for event posters, web banners and all sorts of print work. This little gem is a Blogspot-based resource box for all things web and graphics design. It presents original content with quirky style featuring creative icon sets, lovely seamless backgrounds, gorgeous custom fonts and what not, pushing it up to the list of some of the most unique resource sites in its category. The one and only stop for original freebies and 3D rendered images which you’ll simply fall in love with. If you want to add crisp, raw realism to your designs while maintaining a sleek, color-rich look, you better head to Adam’s amazing resource hub right away. This user interface treasure box offers all a web designer needs to get his prototype up and running. From landing page and app pre-made designs to HTML and Java templates, Okilla is in the bookmarks of every creative UI designer. Despite its unusual name, this website is a brilliant example of top-notch content hidden in the debris of an otherwise premium collection. Just type free in the search box and enjoy a tour through some of the most beautiful design elements and photos that can be found online. GoMedia’s Arsenal has put years of work in a sleek goodies pack which can surprise you with many useful files. The lovely team of MediaLoot offers a huge resource base of free goodies along with its premium products, which you’d be crazy to overrun. Another design resource hub offers time-limited deals with some of their best-selling goodies. Check them frequently to not miss a thing. The freebies section of DealsFuel offers a large database of deals on otherwise premium files and a larger base than Inky Deals which is worth checking out. This website is a vintage image treasury curated by Julie, a lover of traditions, scrapbooks and design. Her publications showcase beautiful examples of public domain images coming straight from her vintage library. Talking about vintage, it’s hard not to mention Retro Vectors. If you’re on a hunt for a 60’s style image, victorian ornaments or even old-style landscapes, you can check out the site’s resources which are all conveniently converted into vector files for easy resizing and use. A scrapbook turned into a design resource platform which will answer your wildest hopes for unconventional image elements with a vintage look. Remember when you spent hours hunting down free templates and fonts on your favorite design websites? Fribbble solves that in a beautiful way. Imagine Dribbble for freebies and you’ll get a hint of what this website is all about. Just like Fribbble, this website’s content revolves around free files found on Dribbble. It features an automated system for fetching freebies on Dribbble tagged with “psddd“. It has a massive following and can be a nice alternative to searching through the portfolio giant for the next Helvetica or a new and crispy icon set. Describing themselves as a heaven for all creative people, AlienValley’s team offers a beautiful collection of free design resources from all category types. The ultimate design toolbox for the hipster designer in you. You can find watercolor templates, hand-drawn logos and a lot more inside. It presents some of the coolest print mockups around along with a pretty collection of additional freebies at your disposal. Labeled as the designer’s best friend, this nifty collection of print mockups and design templates will help you present your work in an elegant way. This is the template and mockup resource hub you’ve been waiting for. Head on to the freebies section and start building your next UI project with the site’s amazing selection. The largest database of free textures you can find on the web. Despite recently undergoing an update, the site offers a massive amount of sharp textures, free for every designer to enjoy.